Most Democrats want single-payer, where the government pays for healthcare — why doesn’t the Democratic Party? By the way, he talks about jobs in his piece. If you want more on jobs, see Ava and C.I. 's "TV: The meanings of OZARK" which is amazing as always. Meanwhile the Dems have disappointed again -- pay close attention to Rall's critique of Schumer. 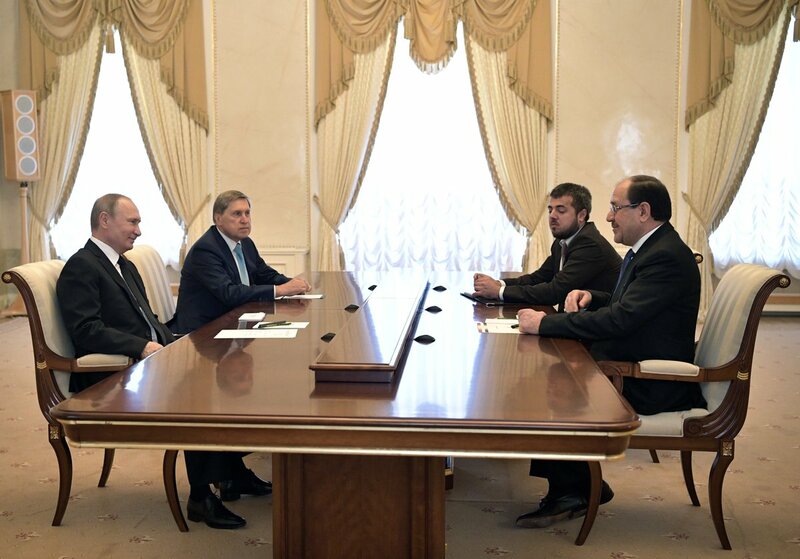 On his trip to Russia, Nouri al-Maliki has now met with the country's president Vladimir Putin. Former prime minister of Iraq and forever thug Nouri al-Maliki is now one of Iraq's three vice presidents. He sometimes elevates himself to 'senior' vice president but he's not and there is no such position or ranking. Russia's participation in Middle Eastern issues has prevented the region from falling apart, specifically in Syria and Iraq, said visiting Iraqi Vice President Nouri al-Maliki here on Tuesday. 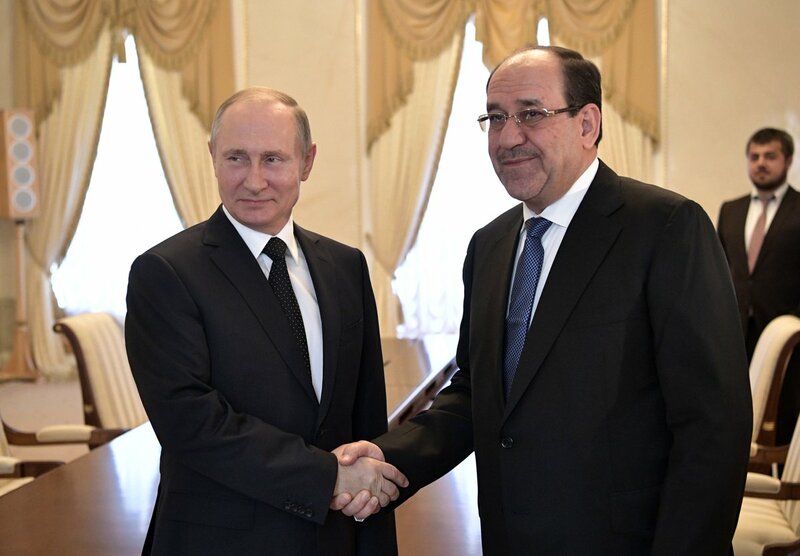 Maliki made the remarks ahead of an official meeting with Russian President Vladimir Putin, according to a Kremlin transcript. "If it were not for Russia's contribution, the map of the region would have changed for the worse for us," Maliki told Putin. Ahead of the trip, Nouri was making these sort of statements. He's continued to make them. Today on NPR's MORNING EDITION, the topic came up. Excerpt. LULU GARCIA-NAVARRO, HOST: Andrew Exum is a veteran of the Iraq War. He was also the former deputy assistant secretary of defense for Middle East policy in the Obama administration. I asked him about the role of the U.S. military in Iraq right now. [. . .] So the idea is to train Iraqi troops, support Iraqi troops and let them do the fight. But how many people does the United States have on the ground there, and what are they doing? EXUM: So the United States has about 6,000 forces on the ground in Iraq. Most of them are serving as advisers. Some of them are serving as trainers. Some of them are helping the Iraqis with things in which the Iraqi military has traditionally struggled, such as logistics. The United States obviously is also engaging in direct combat in the skies. And there's also a very small special operations component that exists in order to do the kind of direct action special operations raids. If, for example, you get an opportunity to go after senior leadership of the Islamic State, but those strikes are very, very rare. The vast, vast majority of the fighting and the dying, it has to be said, has been done by the Iraqi forces. And they, and specifically the Iraqi special operations forces, have really borne the brunt of the human cost of this conflict. As this exchange took place, KURDISTAN 24 reminded, "About 2,100 US soldiers will deploy to Iraq later this year to take over the mission to train and advise Iraqi security forces fighting Islamic State (IS) militants following the fall of Mosul, the US announced last week." Washington now seeks to establish military bases on Iraqi territory in a bid to maintain influence in the region, he said. “ISIL resembles the Taliban which was created by the US administration to counter the USSR in Afghanistan. The same way, ISIL was created to counter the Iraqi stance, which did not agree to blockade Syria, was against no-fly zones in Syria and against American military bases,” said the Iraqi vice-president in an interview with Russia’s RIA Novosti news agency. Per the law, the US shouldn't be in Iraq now or providing financial or weapon aid. The Iraqi forces are attacking the Iraq people. Treaties, laws and the Leahy Amendment are clear that when this happens, the US has to step away. In the two weeks since Iraqi forces declared victory over ISIS in Mosul, local and international media have told a grim counterstory to the scenes of celebration — a rash of extrajudicial killings of suspected ISIS members at the hands of Iraqi security forces. The killings are no secret. Videos of Iraqi soldiers executing ISIS suspects have been posted to social media. Human Rights Watch and other watchdogs have issued reports. Iraqi military officers have openly discussed their participation in torture and revenge killings with reporters. Yet US troops embedded with the Iraqi military have reported seeing little of this, a US military official told BuzzFeed News — fewer than five instances. The lack of US reports raises an uncomfortable question: Have US forces simply been absent when the most horrific abuses have taken place or are they ignoring them? Meanwhile over there . . .